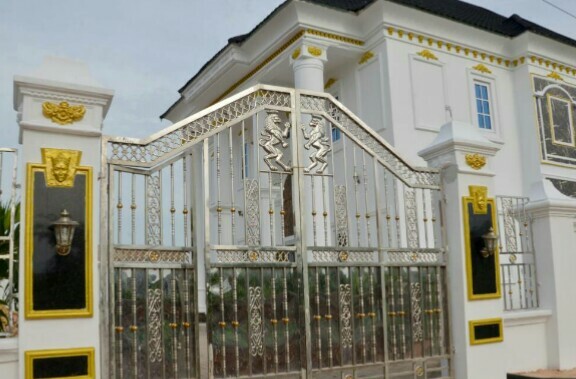 In honour of his mother and grandmother on today’s Mother’s Day celebration, comedian I Go Dye has unveiled a luxury “Golden Eyes Castle” built them. 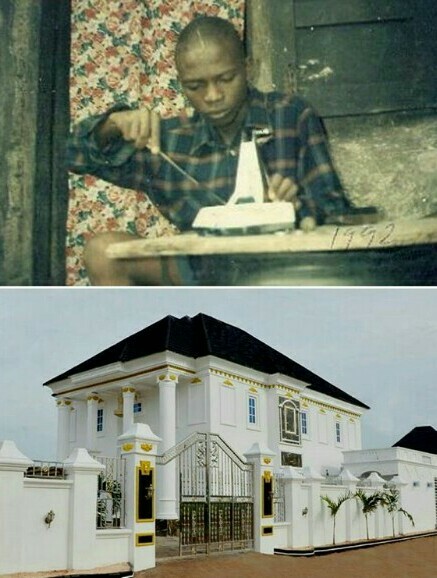 According to I Go Dye, the magnificent mansion was designed and built by his company Revamp Construction and the sculptural work was done by Monvere, a French company. 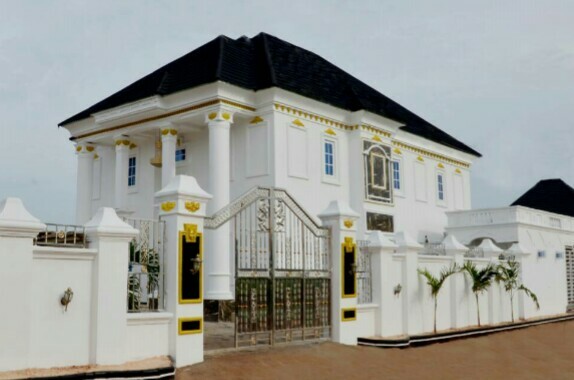 The mansion is situated on Amb. Francis Agoda Boulevard in Delta State. It is structured with fortified walls, 6 bedrooms and a cinema pavilion and many other features, BN says. The Golden Eyes Castle has a customized golden fitted sculpture of his grandmother Queen Agnes designed as a monument to honour her for nurturing him.